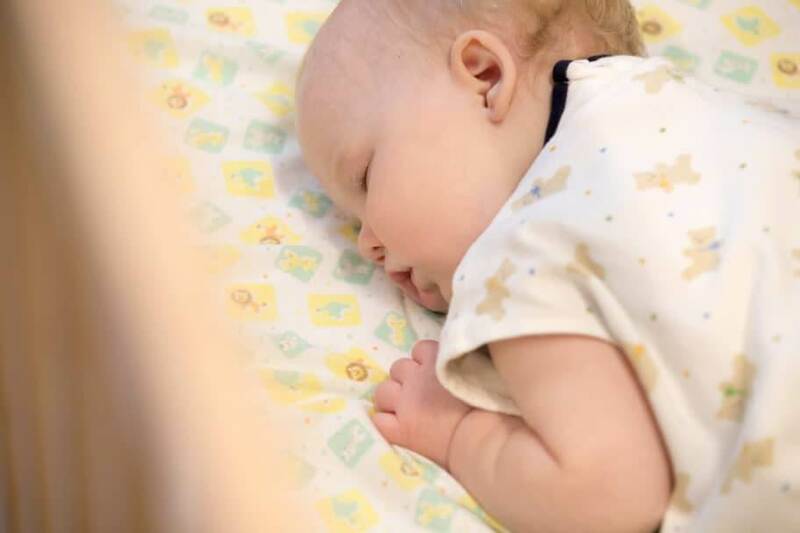 Fading sleep, Ferberization, the chair method–there are many different strategies professionals recommend for helping your baby fall asleep (and stay asleep). While one method advises letting your child “cry it out,” another suggests picking him or her up every time they make a peep. The reality is, there’s no one “right way” to sleep train your child, and for every good-natured approach, there’s a sleepless night where all of your preparation goes straight out the window. What was effective at two months might be impossible at six months. Finding a strategy that works best means remaining flexible, and most of all, abiding by a method that feels comfortable for you and your child. We’ve compiled a list of sleep training techniques below to help you find the best method for everyone in your home to catch some (much needed) zzz’s! Sleep training methods generally revolve around a parent’s response to the baby’s crying during bedtime. These approaches vary from responding immediately, gradually fading out responses, or not responding at all. While some parents are not comfortable letting their baby cry it out, others find it to be an effective sleep training tool. Your personal schedule and the presence of other children in the home may also impact your decision. Experiment to find what works best, and keep searching for a solution – while the three methods below are the core of sleep training development, there are many variations. The no-tears sleep training method is heavily influenced by attachment research. Attachment theory helps scientists understand how babies and children connect with the adults in their lives to build positive relationships. Meeting a child’s needs, like providing food and physical comfort, are some of the cornerstones of attachment theory and the no-tears method. The no-tears method revolves around responding immediately to your baby, even after they’ve been put to bed. With this method, parents are up-and-down throughout the night (although, maybe you are anyway! ), however no-tears means a quieter atmosphere for families with more than one child. This strategy is child-centered, and proponents claim that it can promote healthy sleep habits and associations that last into adulthood. The opposite side of the spectrum, extinction sleep training, or the “cry it out” (CIO) method, is said to teach children to self-soothe. After a gentle nighttime routine, parents leave their baby in the crib to fall asleep, even if this means they cry for a while on their own. Often confused with the Ferber method, extinction sleep training advocates for a no-contact approach after “lights out.” While many babies will stop crying after thirty minutes and typically adapt to bedtime after a week, some families find the extensive crying distressing to both parent and child. Consistency is key to CIO – if your baby is crying for thirty minutes and you decide to comfort them, this method states the baby will come to expect your presence after a certain amount of time, and will be less likely to adjust to this new routine. Of course, ignoring the instinct to attend to your child is not easy, and not for everyone. Be sure to always choose a method that feels right in YOUR home! Like the Ferber method, fading is said to teach children how to self-soothe at bedtime. In fact, fading is considered a middle-of-the-road method, somewhere in between “cry it out” and “no-tears” – a sort of “some tears” approach. If you find CIO to be too difficult, and no-tears too demanding, fading may be just right for you and your baby. Fading is generally approached in two different ways: camping out, and checking in. Camping out involves putting your child to bed and taking a seat next to their crib for the first few nights. If your baby cries, you can give them a reassuring pat on the back or hush them gently. Gradually move your chair further from their crib while remaining in sight, eventually moving outside your baby’s room. Over time, your baby will become accustomed to the increasing distance, and should become comfortable when you leave their room completely. Checking in is similar to Dr. Richard Ferber’s “progressive waiting” method, whereby parents comfort their child after a predetermined amount of time when they continue to cry. Essentially, the fading method proposes that by lengthening the period of time between laying your child down to sleep and entering the room to comfort them, they will naturally learn to comfort themselves. Still at a loss for a method that speaks to your current sleeping situation? Stay tuned for Part II of our sleep training series for more information on common obstacles. In the meantime: sleep well!